The Super Sprint distance is the “can do” triathlon. Race in a supportive atmosphere amongst other like minded people and become part of the thrill and excitement of triathlon whilst gaining the absolute joy and pride that comes with accomplishing a personal goal. 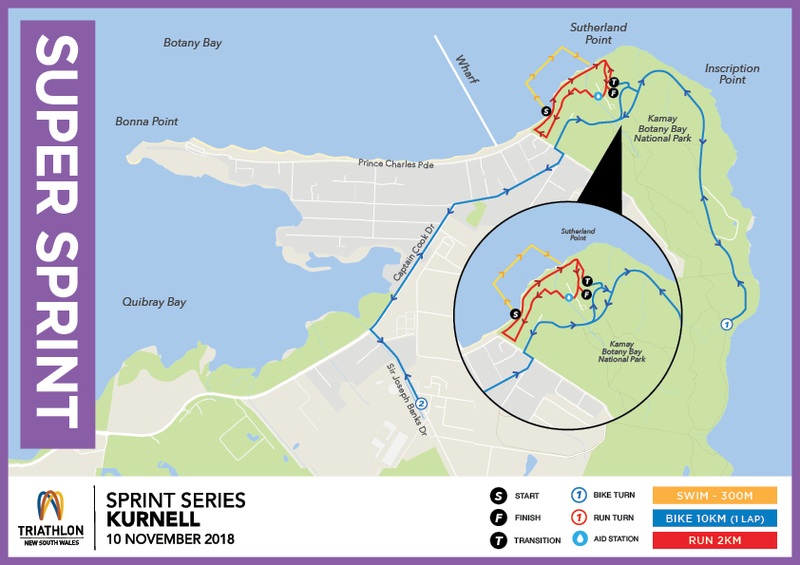 A 1 lap course which sees competitors head out to the end of Cape Solander, turning around, and then through the flats of Captain Cook Drive and left at Sir Joseph Banks Drive. 200m down this stretch will be the second Super Sprint turn. 1 lap of a circuit on grass and sealed paths around the National Park, passing by the landing site of Captain Cook. Male, Female & Mixed teams will be recognised on the podium and then we have ‘Race Ya Mate’ which has no podium prizes.